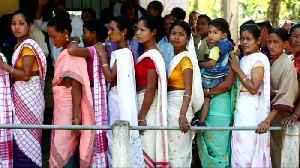 The world's largest democratic election kicks off in India, where 900 million people are eligible to vote. Current Prime Minister Narendra Modi is seeking re-election, but this election will be seen as a referendum on his performance these last five years in office. The polls are open in the world's largest democratic election. 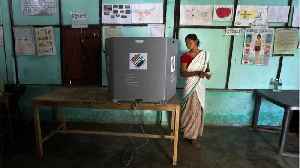 Voting in India's general election began Thursday (April 11) and it's going to last six weeks. 900 million people are eligible to vote in phases across the country's states. That's more than the population of continental Europe. And all of them have Prime Minister Narenda Modi on their minds. He's seeking re-election to his second term in office. Modi wants to ride a wave of nationalism to victory and his party has entered the race as the frontrunner. That's thanks to his record on national security after a spike in tension with Pakistan. However as Reuters Devjyot Ghoshal reports, his path to re-election may not be as smooth as in 2014. (SOUNDBITE) (English) REUTERS' CORRESPONDENT DEVJYOT GHOSHAL, SAYING: "Five years ago Narendra Modi came to power promising to kickstart the Indian economy, to cut redtape, to make India more prominent globally and to go hard on terror. Five years since then, this really is a referendum on Prime Minister Narendra Modi and his performance. So having spoken to lots of voters over the last couple of months and spoken to pollsters, the big things on people's minds: One is national security and India' s relations with Pakistan and there has been action on that front in the last couple of weeks. At the same time there is concern over unemployment and the state of the jobs market." In February, Modi issued airstrikes against a suspected militant camp in Pakistan, the first raid like that since their war in 1971. Pollsters say it stirred up support for Modi - but its the economy where he's weaker. More than half the population is under twenty-five. Millions of Indians enter the workforce every year, and official statistics show Modi's government hasn't created enough work for them. (SOUNDBITE) (English) STUDENT LEADER, SUCHETA SINGH, PROTESTING AGAINST RISING UNEMPLOYMENT, SAYING: "The last five years have been one of the worst that one can remember for the students and youth of this country. The unemployment rate has reached the highest in 45 years." Add to that, distress in the countryside - where two-thirds of Indians live. Modi's main opposition, led by Rahul Gandhi, is trying to run on Modi's broken economic promises. Both sides have promised handouts to the poor ahead of the polls. (SOUNDBITE) (Hindi) PRESIDENT OF INDIA'S MAIN OPPOSITION CONGRESS PARTY RAHUL GANDHI, SAYING: "Modi is wasting the time of the country. Five years have already gone so don't waste any more time." 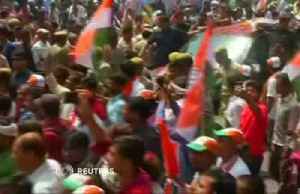 Gandhi's Congress Party hopes to win enough seats to lure in smaller parties across India and form the government. 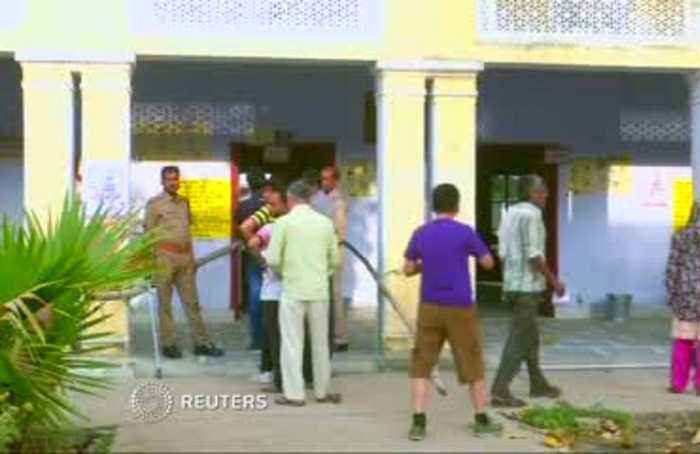 India's electoral commission has set up about one million polling stations. 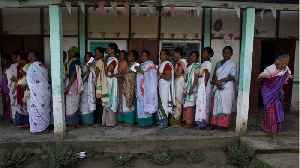 Some officials even trekking days to ensure that Indians in the most remote parts of the country can cast their ballot. The final tally will be held on May 23rd.